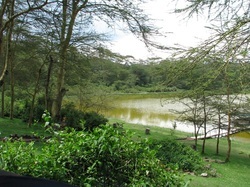 The first of our safari stays, very beautifull, peaceful and lush, Rick has many more photos of the animals and birds we saw there. 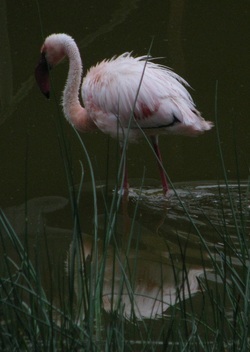 This photo is of a flamingo in the evening on Crater Lake. 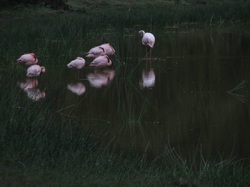 Flamingos settling down for the night. 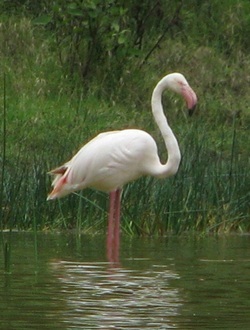 The pink on them is caused by the algi they eat in the lake and is found in soda lakes. 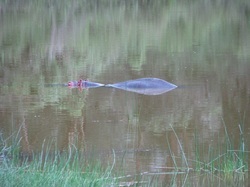 Hippopotamus having a drink of fresh water. The staff fill this container so that he can drink, they believe he is an old hippo that has been turned out of the herd, quite a few animals are using Crater Lake as a retirment village and refuge. 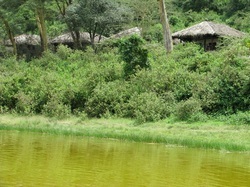 View of our thatched roof tents with ensuit, very comfortable. 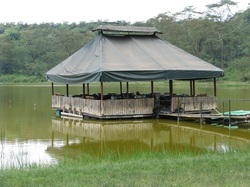 The floating restaurant. All midday meals were served here. Rustic but a great setting. 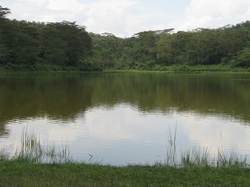 Crater Lake, the first of our safari stays. 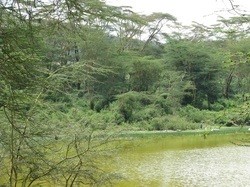 This is a soda lake so the water isn't drinkable unless you are a flamingo. What an amazing place, well worth a look although I found the heat almost to much to bear. 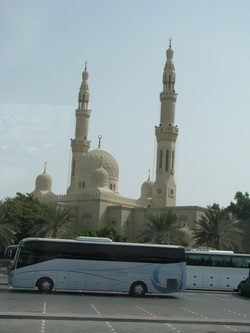 Everthing is airconditioned including the bus stops. 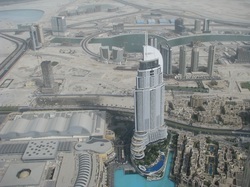 They have a very good mono rail that we went on and saw quite a lot at ground leavel but the views from the worlds talest building would take some beating. 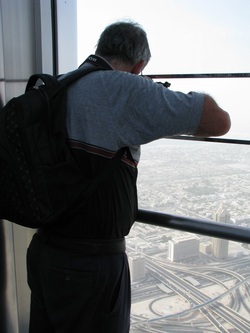 Rick taking photos from the viewing platform of the Burj Khalifa. 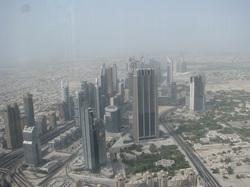 The following photos will give you an idea of how high up we were and that was only half way. The photos are ones I took, not as good as Ricks but his are still in the camera. 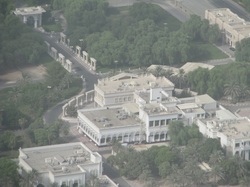 The Sheiks Palace, well one of them anyway. 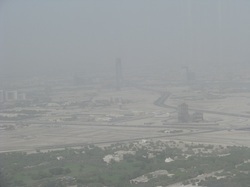 View from the Burj Khalifa. 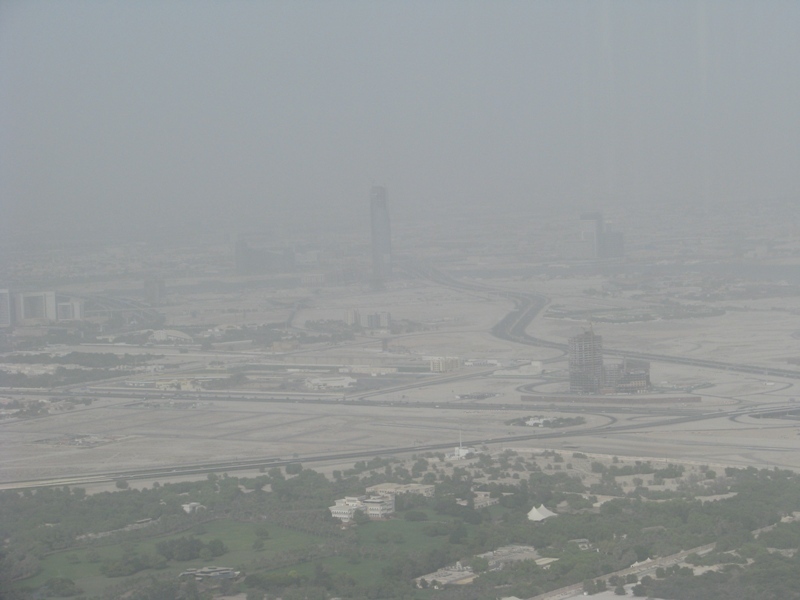 The fog is actually dust from a dust storm of a couple of days before. 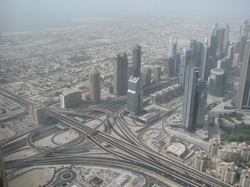 Looking down from the viewing platform of the Birj Khalifa. 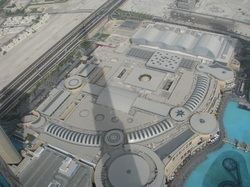 You can see the shadow of the building across the roof of the worlds largest shopping mall, the Dubi Mall. 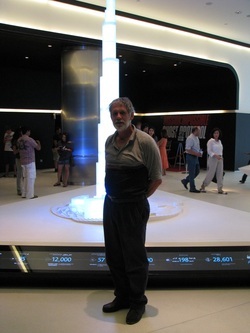 Rick in the atrium to the Birj Khalifa the worlds tallest building. At the moment anyway. 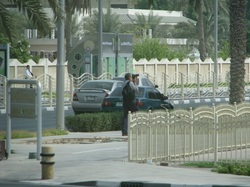 The main Mosqu in Dubi. You can actually go on tours through it but only on set times and days. We weren't there on any of those days. 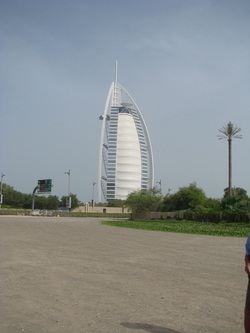 This is the Burj Al Arab, one of the most expensive hotels in the world prices start at about $8,000.00 per night, needless to say we weren't staying there. 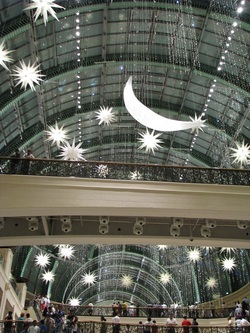 This is the view of the ceiling in the Emerates Mall at Dubi not the worlds biggest mall, thats just down the road, this one is close though, we didn't get arround it. 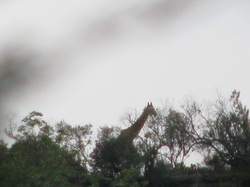 Over the next few weeks I hope to post some photos of our African holiday. 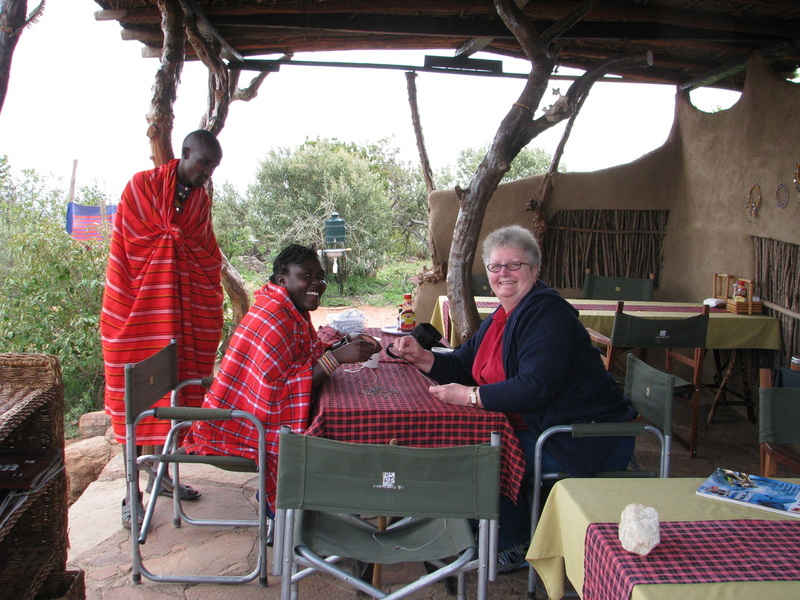 This photo is of Florance teaching me how to bead the Maasai way. 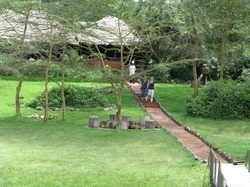 Our stay at the Maasai eco camp "Maji Moto" was very speacial and something I will never forget. They made us feel like part of the tribe and we joined in willingly. 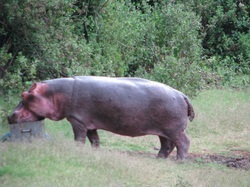 The Maasai have a wicked sense of humor not unlike Ricks and mine so we all got on well straight away.